The goal of the Gateway Initiative is to enhance individualized learning and improved educational outcomes for students in large enrollment, entry level "gateway" courses in the Arts & Sciences. This Initiative is the beginning of a larger effort to invest resources and attention in learning, with a current focus on supporting faculty in course redesign by matching them with dedicated teams having expertise in project management, instructional design, analytics (to aid with assessment of the effectiveness of the redesign), library resources, and intellectual property issues. 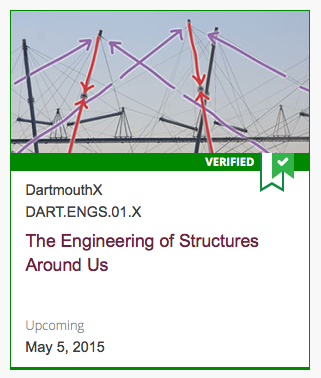 Dartmouth joined the edX consortium, a group of the world’s leading educational institutions, in early 2014. The edX consortium, founded in 2012 by Harvard and MIT, is committed to offering, to the world, the highest quality courses through an innovative online platform. These courses are commonly known as MOOCs (massive open online courses). 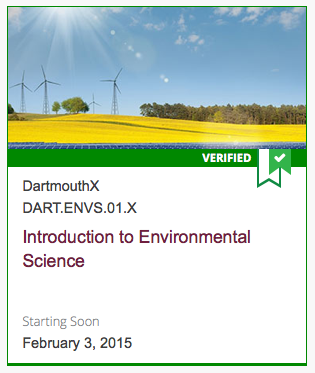 Each DartmouthX course is being developed by a course team. The faculty member works very closely with an Instructional Designer from the Educational Technologies group, who is familiar with the edX platform, and provides expertise on learning design and assessments. A media production specialist shoots and produces video and similar learning objects. Librarian expertise is needed to cover questions of copyright and open access. Lastly, we are also involving advanced Dartmouth students as TAs and general assistants. Between the fall 2013 and winter 2015 terms, the Educational Technologies team partnered with faculty in the Arts & Sciences to move all teaching and learning activity into Canvas - Dartmouth's new learning management system. The above figure is a look at the Dartmouth Canvas transition by term.